Once upon a time, according to Stacy Saia, schools were the central hubs of their communities, places where families and residents would go to find out what’s going on in town. Today, with state funding cuts, population growth that has caused overcrowding in districts across the state and major changes in the way people communicate, that long-ago sense of community around Palmyra Public Schools is not quite as strong. On the evening of Friday, Feb. 23, Saia, the district’s supervisor of curriculum and instruction, and Palmyra’s staff and administration hope to bring back some of that old-fashioned togetherness with Panther Con. Palmyra schools, is the district’s answer to the disconnect between the schools and the families who send their children there, including those from surrounding Beverly and Riverton who attend. In addition to treating students, staff and families to boardwalk games, raffles, prize wheels, food and other engaging activities, the aim of Panther Con is to bring everyone together and show the community the positive things happening in the district. 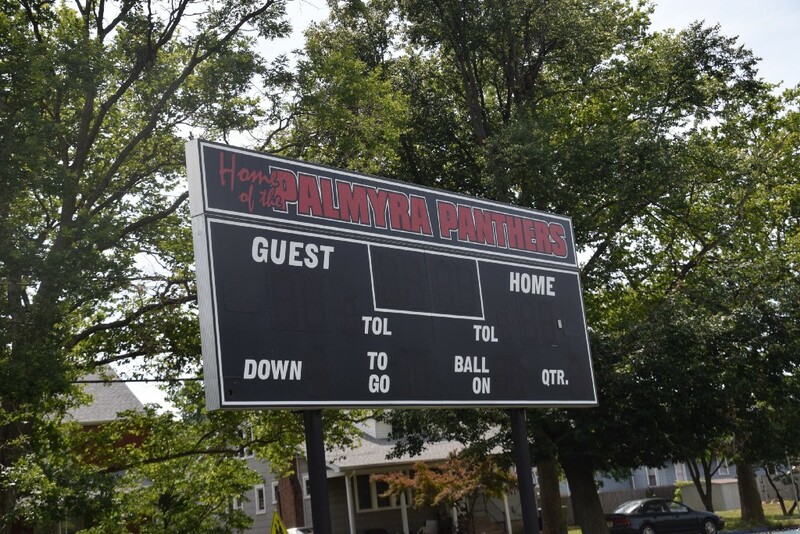 The staff and administration also want to use Panther Con, which will take place in the gymnasium and cafeteria of Palmyra High School, as an opportunity to encourage community involvement and raise money for the district. “Palmyra school district is an amazing, but sometimes underrepresented district. We want to reach out to community groups and organizations in the area to put up information booths and kiosks to make their services and resources known,” Saia added. Panther Con attendees are encouraged to come decked out in school spirit gear, which includes special limited edition T-shirts that can be ordered through each school’s representative. The shirts, which come in gray or blue, can be purchased for $10 by filling out the order form on the palmyraschools.com homepage and paying through check. Ticket forms for the event will be sent out soon, Saia said, and can be found at palmyraschools.com. All proceeds received through shirt and ticket sales will go toward advancing the district’s classroom technology.